If not logged in, click Sign In and enter your details. 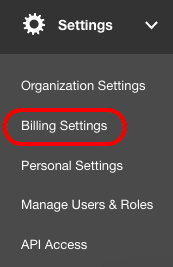 Once logged in, click on the "Billing Settings" button. We immediately verify your card so you should receive an error if we're unable to perform a verification transaction (usually $0, but can be $1 which gets refunded within 24-48 hours). Alternatively, you're welcome to give us a call and have us update your billing details for you, but please don't e-mail us this information. 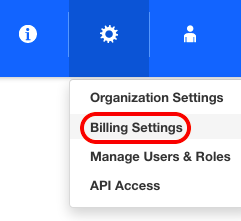 In this section, you can download previous invoices for your records and cancel your subscription.